I was asked recently by a Bride to Be if we could help her out with a Photo Booth idea she'd had for her wedding. Photo Booths have become increasingly popular over the past couple of years and are typically an enclosed booth similar to a passport photo booth that you would see in a supermarket. Our Photo Booth Style wedding photography has the same look and feel of images captured in a booth but all the photographs are taken on my main professional wedding camera. Wedding guests pose with a selection of props against a white or black background. We provide a starter pack of funky photo booth props and we encourage couples to personalise their wedding day with props of their own. 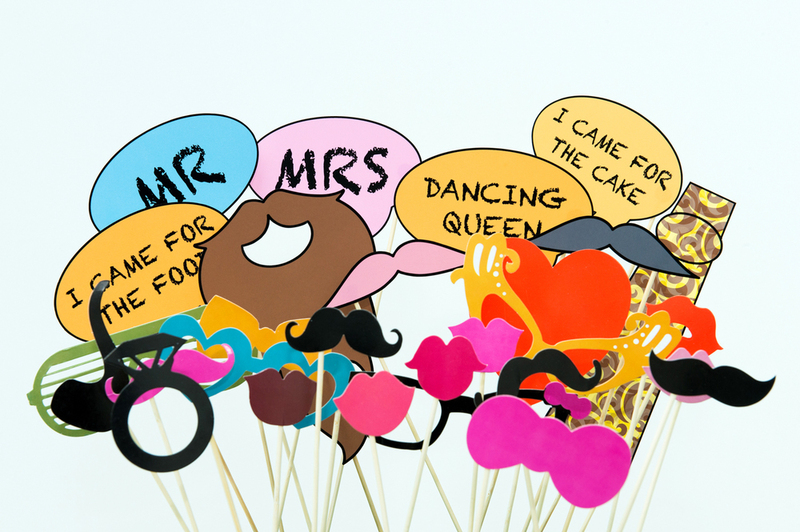 We particularly love our fab speech bubbles and we can create custom made bubbles for your wedding. We're currently offering our Photo Booth Style wedding photography as part of one of our wedding photography packages, please complete the enquiry form here to check availability and prices.